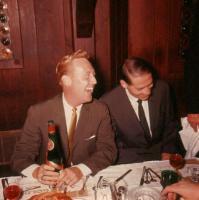 Pictures of the Dodger Hall of Fame broadcaster, Vin Scully. Vinny was born November 29, 1927, in The Bronx, New York. 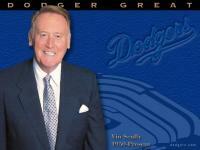 His tenure with the Dodgers is the longest of any broadcaster with a single club in professional sports history. Named California Sportscaster of the Year 28 times, he received the Ford Frick Award from the Baseball Hall of Fame in 1982, was honored with a the Life Achievement Emmy Award for sportscasting and induction into the Radio Hall of Fame in 1995, and was named Broadcaster of the Century by the American Sportscasters Association in 2000.